The weather is warming up (besides the recent tornadoes we've had here in Georgia lately, it's been upwards of 80 degrees most days), which means it's time to get outside more and be active. An active lifestyle doesn't just mean being active for humans, but their fury counterparts as well. 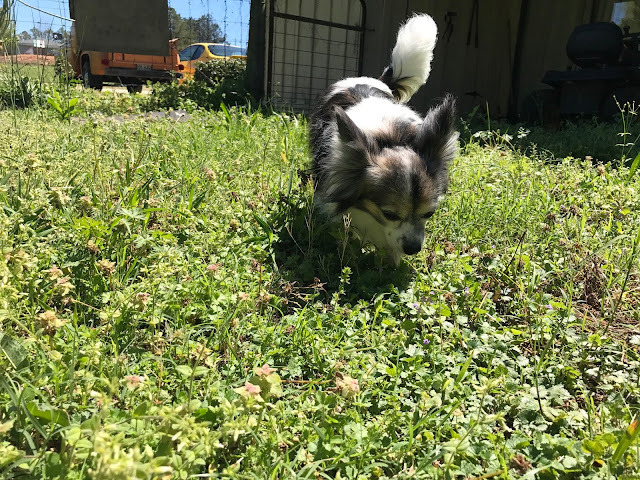 Nice weather means it's time to get outside and run around like you have no worries in the world. It's important to include your pets in outdoor activities, too. 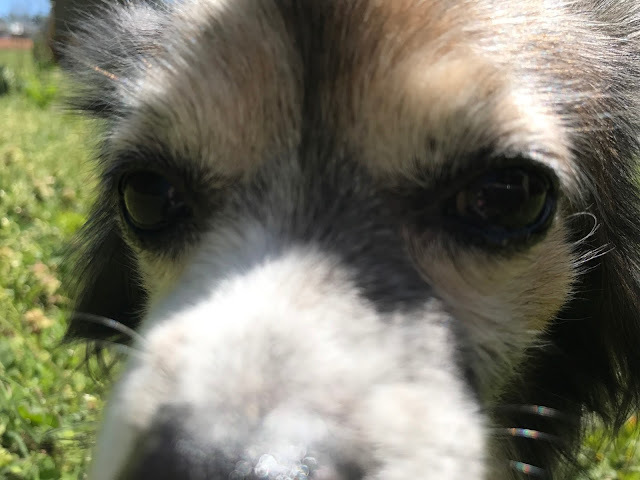 My parents got Moe for me when I was a junior in high school, because the dog I had at the time had passed away (RIP Oreo), and I was distraught and needed another companion. He was just a tiny pup at the time (he fit in the palm of my hand), and I vividly remember his head being bigger than the rest of this body - he was just so small. As a Papillon (it means butterfly in French, because his big ears look sort of like butterfly wings), Moe is still small, but he's much older now. Since he's an older pup, he likes to lay around and nap a lot (he's basically a cat!). 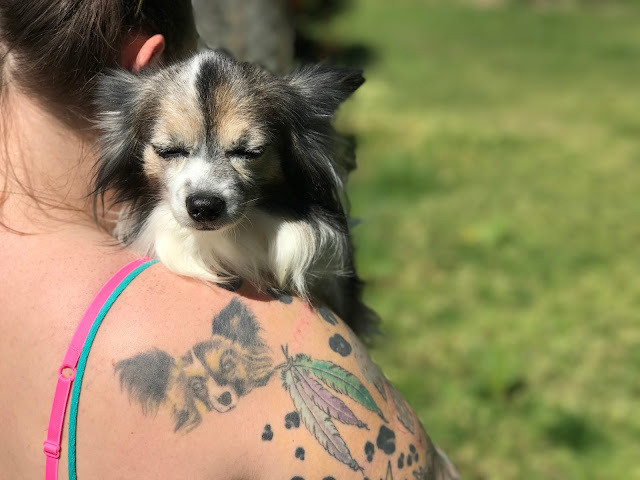 When the weather's nice, though, he loves to run around outside, or just lay out and bask in the sun. 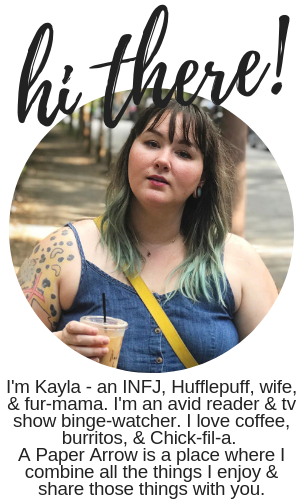 When I was in college, I moved out of my parents into an apartment with my now husband. 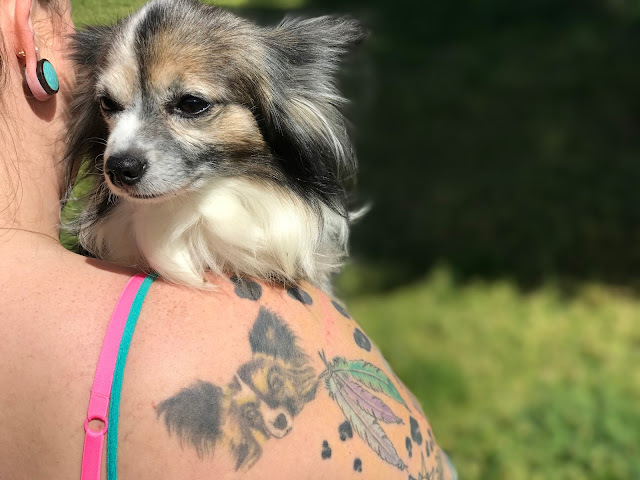 We weren't allowed to have pets (and I think my parents secretly loved Moe to much to let him leave), he continued to live with my parents. And years later, no matter how hard I tried, my parents preferred Moe to live at home with them. Luckily, my parents live nearby, so I try to stop by at least weekly to see family, including Moe. 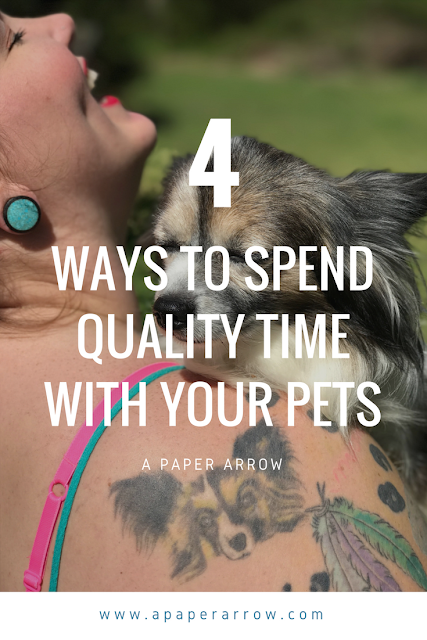 It's so important to me to spend quality-time with my pup, and the warm weather makes it so much easier to do so! 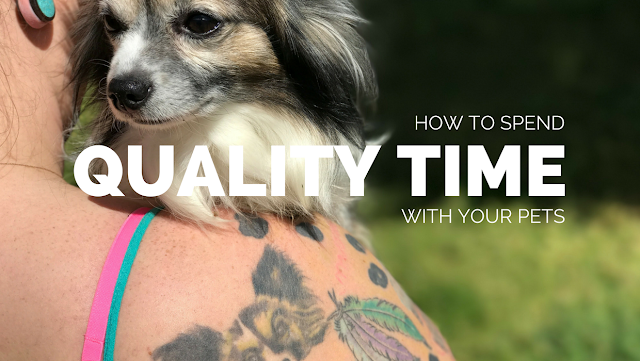 Here are a few ways I use to spend quality time with Moe, and ways that may be helpful for you to spend quality time with your pup, too! Get outside and get active. For you, this could be going as far as a road trip, a local dog park, or just taking a trip to the backyard. Our backyard is fenced in, giving Moe some time to roam independently, but going out with him is more exciting! Play fetch, tug-o-war, or just run free. Groom your pup yourself! 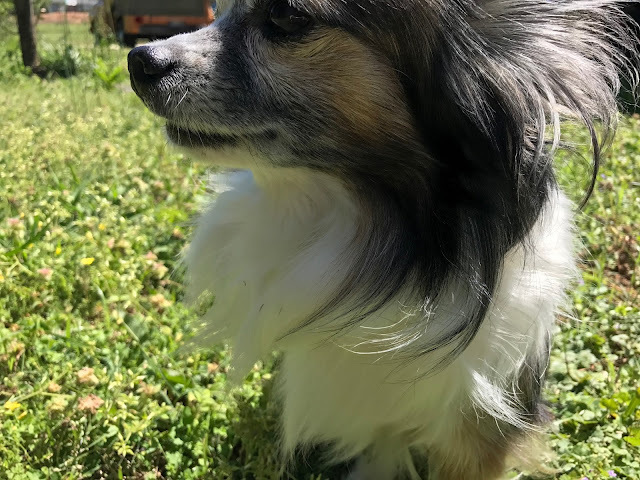 Since Moe's long-haired, playing outside means it's more likely he'll get dirty, and it's important to keep him clean (for sneaking snuggles on the couch later). Because of this, we always groom Moe ourselves - it's less stressful for him, and inexpensive for us! 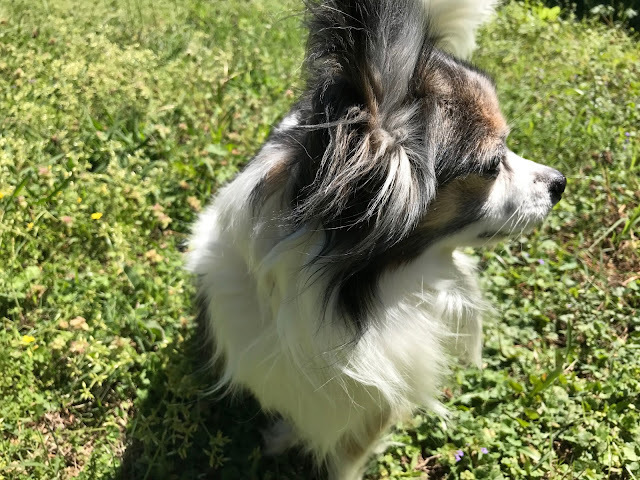 We make sure to trim his hair (specifically looking for any matted hair) and his nails (be careful not to cut into the quick!). We bath him in a plastic storage bin outside, which is perfect for his small size. After making sure he's good and clean, we wrap him up in a towel like a burrito or blow him off with a hair dryer (he loves it!). Snuggle up and read a book. I am almost always reading, so it's nice to snuggle on on the couch (don't tell my folks!) and read with a napping pup curled up with me. It's not an incredibly active activity, but it's the perfect end to an active day! Snuggling up outside to catch fresh air is also a wonderful alternative. Take a trip to pet-friendly businesses in your area. We have a downtown area that allows pets to sit outside at bistro tables, as well as other businesses that allow pets inside. 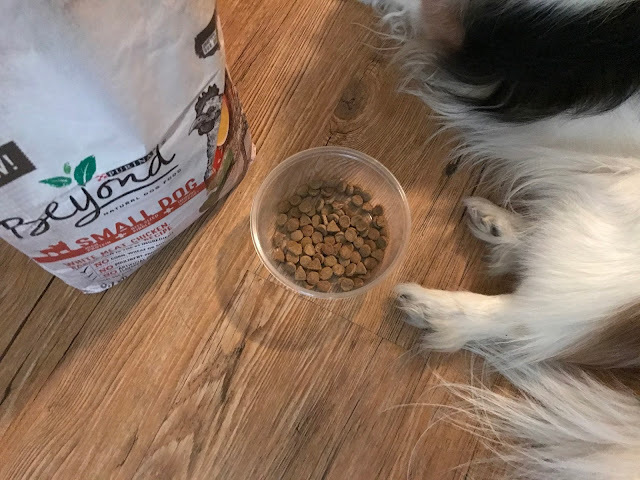 Make sure to bring your pet food and water, too, so they don't go hungry while you're enjoying a meal. I prefer to treat Moe with Purina Beyond, specifically the Small Dog Essential variety. 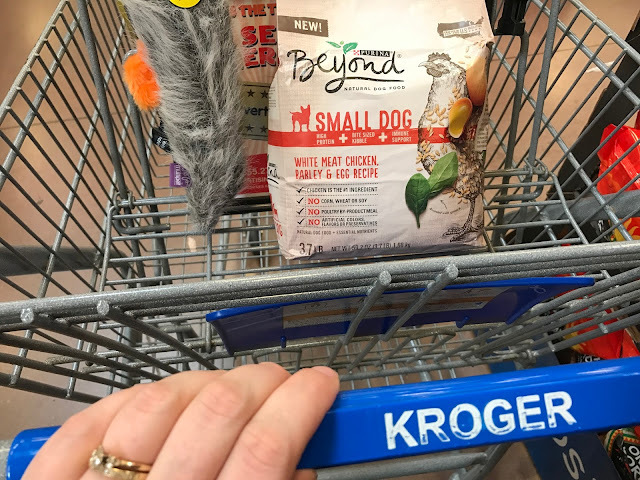 Purina Beyond is the perfect brand for my pup for so many reasons, most prominently being that the #1 ingredient is real meat, poultry or fish. The ingredients are high quality; no corn, wheat, or soy, no poultry by-product meal, no artificially added colors, flavors, or preservatives. Additionally Purina Beyond is safely sourced - every bag, every time - and backed by pet nutritionists. Seriously, what's not to love here? High quality and safe ingredients. Luckily, the Purina Beyond brand is readily available at your local Kroger store. It's easy to pick up at the same location you're shopping for groceries, so no extra trip to the pet specialty store! 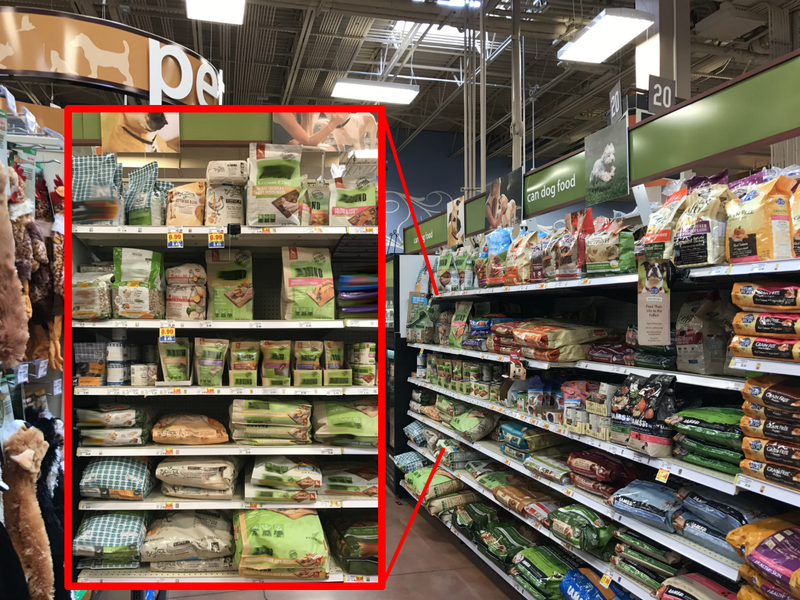 You can find Purina Beyond on the pet aisle. 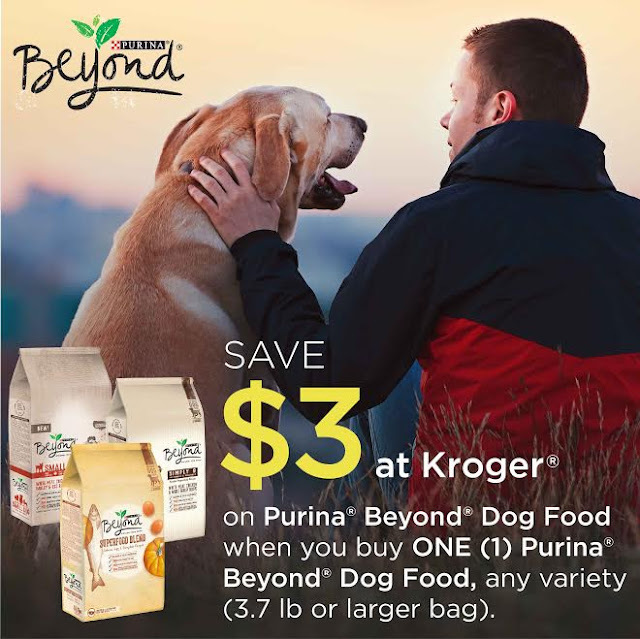 With this Kroger offer, you can get $3 off when you purchase Purina Beyond, now through June 29, 2017. For more ideas on how to enjoy the warmer weather with your pets, check out this link. How do you make sure you're spending enough time with your pets? Aw, Moe is such a little sweetie! 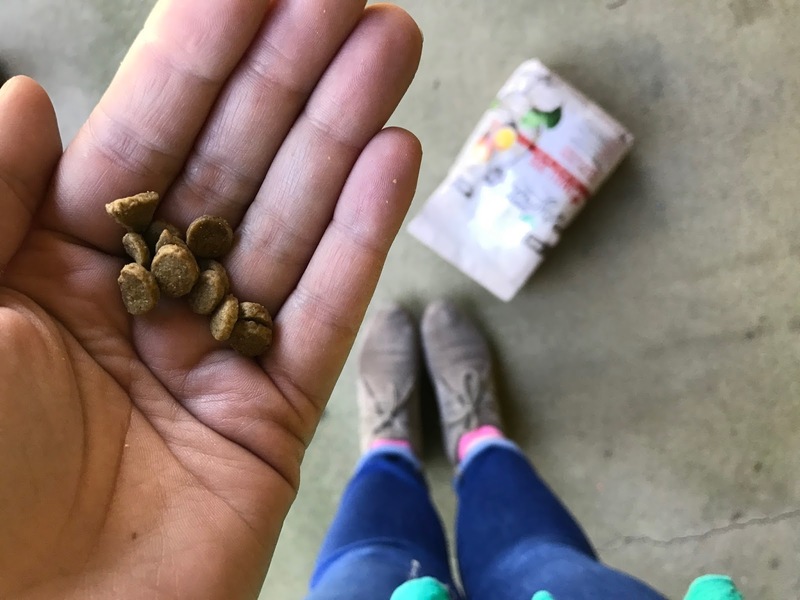 I love these tips...it's important to give our pups the fun times they need as well! I completely understand! With Moe's long hair, he has to hair regular trims to keep from matting.